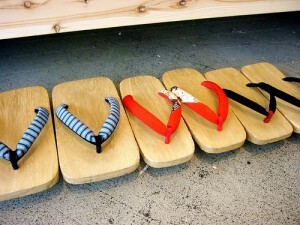 Do you know Japanese foot wear, geta? 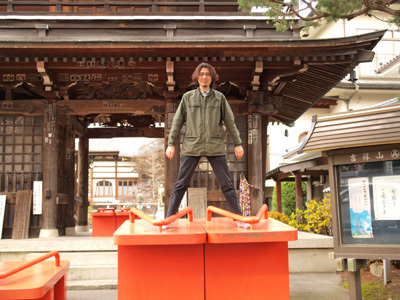 Geta doesn’t make feet get sweaty or doesn’t give pressure on feet, so it’s a healthy foot wear. Nowadays, very few people wear geta but in summer, people wear them for special occasions such as fire works festivals or the Star Festivals. 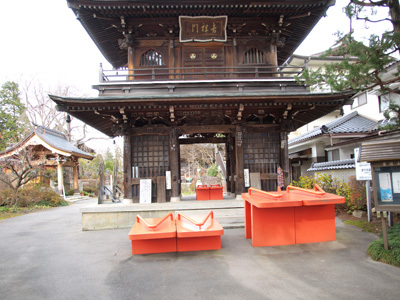 In a temple called Kisshou-san Toukou-ji in Nagano Prefecture, there are two pairs of king sized geta. They are supposed be Nio’s (a guardian of the Buddha), and bless those who wear them. They’re too big but some visitors actually try them.